You are here: Home » MEDIA » Games » Star Citizen game gets a star-studded trailer with …. Squadron 42! Star Citizen is an upcoming massively multiplayer science fiction trading and combat game developed by Cloud Imperium Games for Microsoft – and the brainchild – and spiritual successor – to project head Chris Robert’s fab Wing Commander computer game series. It’s been in dev for four years, and this is what nearly $200 million in crowdfunding buys you – a trailer with everyone in it from Gary Oldman, Mark Hamill, and Mark Strong to Gillian Anderson. Animated as themselves with creepy-good likenesses. 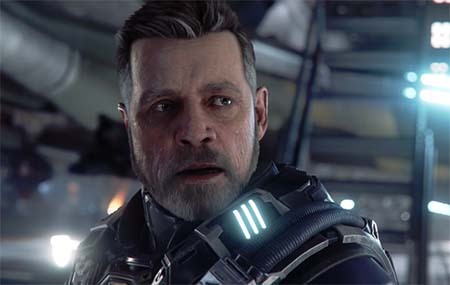 The trailer’s for the single-player version of the game, Squadron 42. « Fast, moves the robot legion.